How to convert primitive int value to a Long object in Java? Suppose you have an int variable but the part of the application is expecting a Long object, how do you convert a primitive int to a Long object in Java? It shouldn't be a problem, right? after all long is a bigger data type than int, so all int values are acceptable as long, but we also need a Long object, not just the long primitive value. 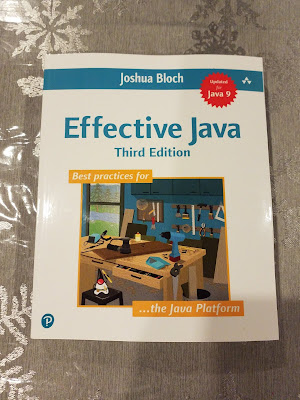 Now, the problem is reduced to converting a long primitive to Long object, which is not really a problem if you are running on JRE version higher than Java 5. But, sometimes autoboxing is not efficient e.g. when you have to convert multiple long values into the Long object in a loop. A better way to convert your long primitive to the Long object is by using static factory methods like Long.valueOf(long l), which was originally meant to convert long primitive values to a Long object, prior to Java 5, but, also works fine with int primitive. So, if you have got an int primitive value, just pass it to Long.valueOf() and you will get a Long object with same value. Btw, This only works well if the method is expecting a long primitive value, if it's expecting a Long object then you first need to cast an int to long, so that autoboxing can kick-in (see Java Fundamentals Part 1). Autoboxing also has a disadvantage in terms of converting null back to primitive value e.g. if you have a Long object than it could be null but long primitive cannot be null. So auto-unboxing will fail with NullPointerException while converting a null Long object to long primitive. So you should beware of that. Now that you know some concepts, let's see this conversion in action. Another thing to notice in the above code is that we are using auto-boxing in the loop, which can cause performance issue because a lot of Long objects will be created and discarded. In our case, it is still ok because the loop is running only 10 times, but if have to do this conversion say a million times, this approach will cause a problem, as explained by Joshua Bloch in his classic book, Effective Java 3rd Edition. A must-read for any Java developer. One of the better ways to convert an int primitive to the Long object is by using the valueOf() method of the Long class. If you use Long.valueOf() then you don't need to explicitly cast an int to long, Why? because you can pass an int value to a method which is accepting primitive long. 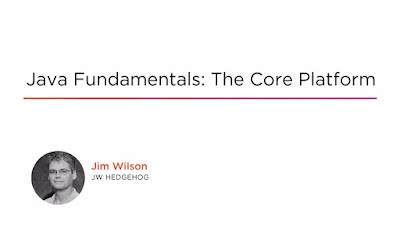 Btw, if you are not familiar with such fundamental rules of Java programming, I suggest taking the Java Fundamentals: The Core Platform by Jim Wilson, a free online training course from Pluralsight. It's seamless, clean and easy. It is also efficient because valueOf() method implement Flyweight pattern (see Design Patterns Library) and maintains a pool of frequently used Long values, particularly in the range of -128 to 127, as shown below. Since Long is also immutable in Java, it's no harm sharing same Long instance between multiple clients. You can see it caches the Long instances with values in the rage of -128 to 127. This means same Long instance is returned to multiple clients and this work because like String, Long is also Immutable in Java. So, it's safe to share the same instance of the Long object between multiple clients. That's all about how to convert a primitive int value to a Long object in Java. It's easy but worth knowing the subtleties involved. Prefer Long.valueOf() to take advantage of caching it provides as well as to avoid casting. Also, remember that auto-boxing will throw NPE if you want to convert a Long object back to long primitive value and it happened to be null. This kind of NPE is sometimes not obvious and takes a long time to reveal itself. Thanks for reading this tutorial, if you like this article then please share with your friends and colleagues, it makes a lot of difference.